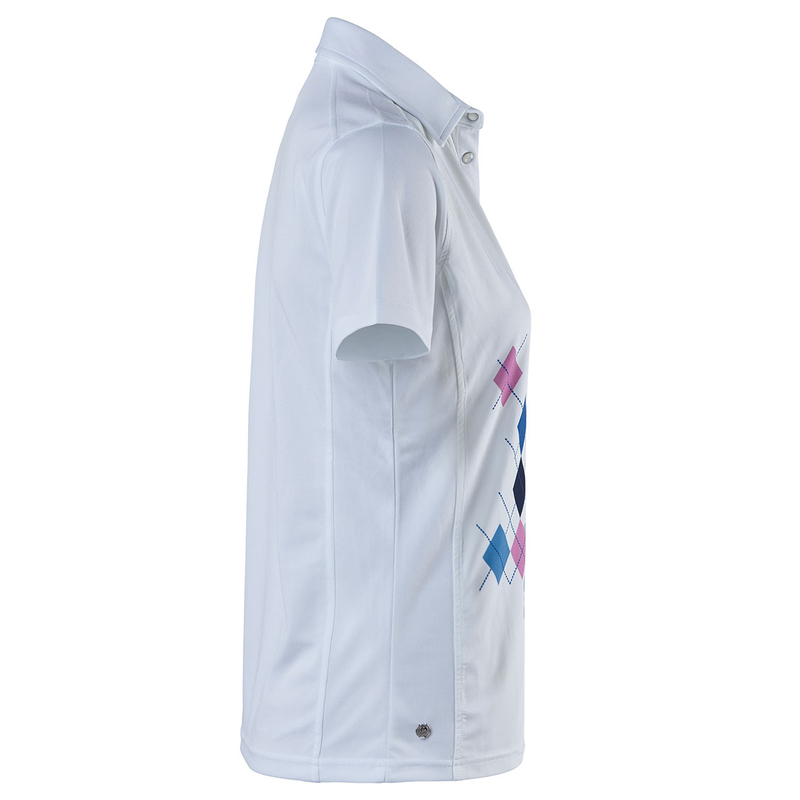 Play golf confidently, with this stand out print ladies golf shirt from Daily Sports. 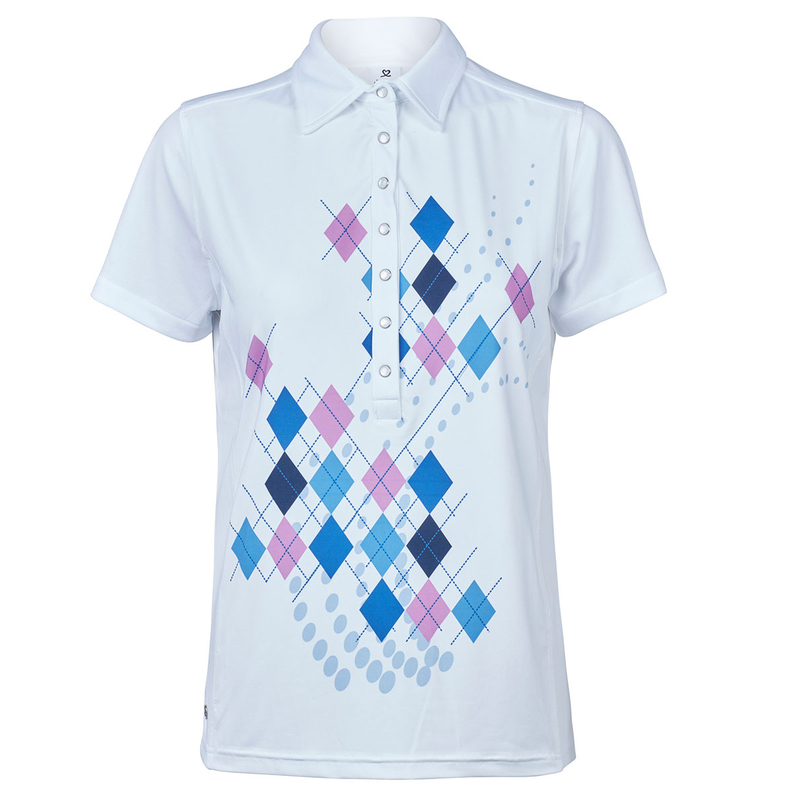 The shirt has a stylish argyle print, and has luxury extra long button placket to give even more appeal. 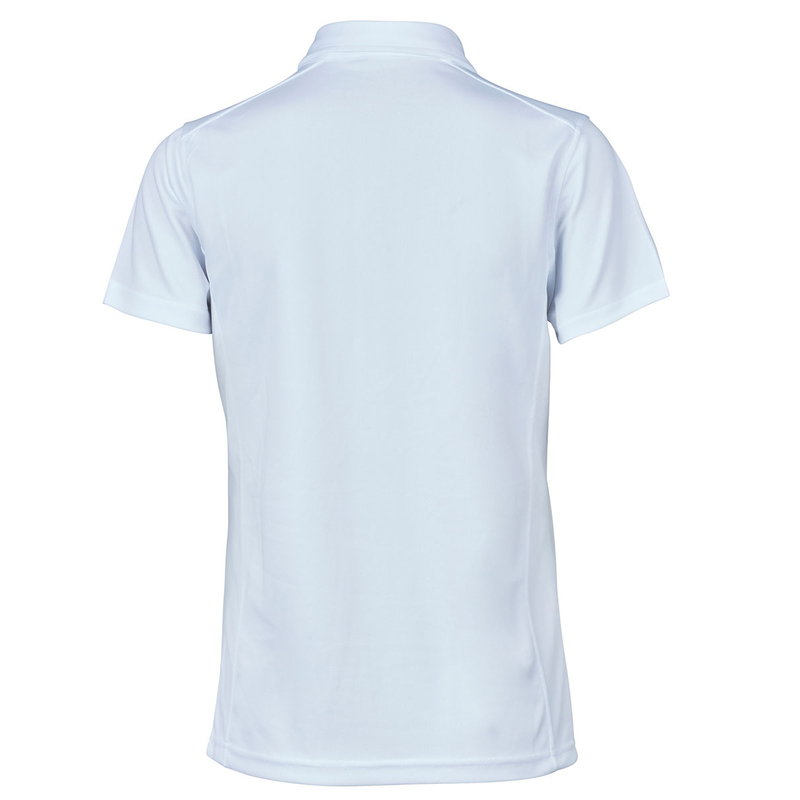 To assist in your performance the garment has a quick dry material, which offers rapid moisture absorption, and is breathable, and has stretch to keep you more than comfortable as you play golf.